Caring about the environment is more than simply a trend. Paying attention to the natural world is a mission that people should bring to the forefront of their lives. It is easy with just a few tips. Read on to learn more. Some people go through multiple water bottles each day. Instead, you can choose to refill your bottle or to purchase a reusable water bottle. Make sure you don’t use the same plastic bottle for days in a row though because grime can accumulate. If you have to purchase plastic bottles, buy ones that are eco-friendly. When it’s dark or stormy out, you may feel inclined to turn on every light in the house. However, in reality, a dark room across the house does not affect you. Make a family effort to turn the lights off when you exit a room. Chances are, you spend a decent amount of time traveling in your car. The next time you go out with your car keys in hand, ask yourself if walking to your destination is a possibility instead. If the answer is no, at least consider the possibility of taking public transportation to save on the gas emissions into the environment. 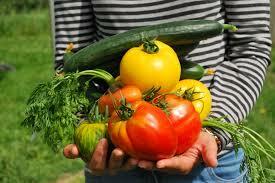 Whether or not you can grow a prodigious amount of food depends heavily upon where you live. When you have the outdoor space, grow some vegetables. If you have more room, you can engage in more extensive efforts. You are helping to cut down on the costs to ship food, and you know exactly what is going into your food and into the environment. ← What Does the Term Carbon Footprint Mean?